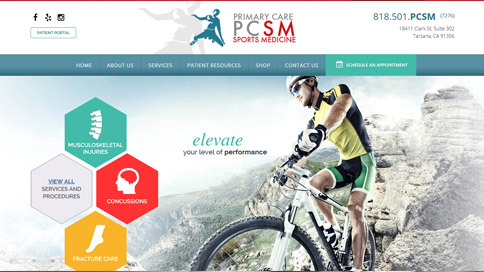 Dr. Patterson and his team at Primary Care Sports Medicine envisioned a state-of-the-art website that could serve as a comprehensive and user-friendly resource for individuals seeking information on sports medicine. The newly designed responsive site allows users to read and navigate easily across a range of digital devices without sacrificing content or the overall user experience. 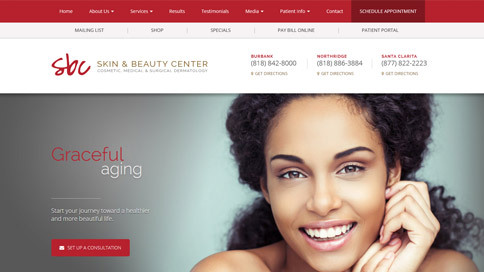 In close collaboration with the team here at Omatix, Dr. Saadat of Skin & Beauty Center recently revamped his practice’s website to improve the visual and educational experience that visitors encounter. The site hosts a number of informative videos, before and after photos, patient testimonials and more. Behind the scenes, it’s also encrypted with SSL technology and outfitted with the latest search engine optimization techniques. Pure Smiles South Bay is a biological children’s dental office that offers uncompromising state-of-the art dental care in a friendly and welcoming environment. The website features a plethora of information including dental treatment options, FAQs, and a blog that Dr. Kimi contributes to regularly for tips on maintaining good oral health and habits. 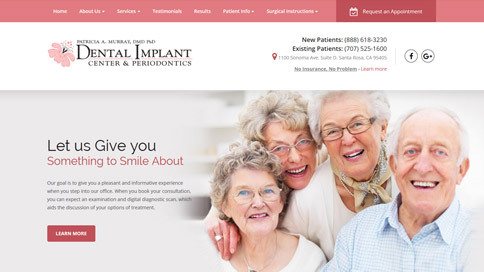 Dr. Murray of Santa Rosa Dental Implant Center contacted Omatix to revamp the overall look and feel of her website. The newly enhanced site features a before and after gallery, video tour, testimonials and more. In addition, it is optimized for the search engines and ranking at the top for highly competitive terms. Therapy Pals is an online mental health service for patients suffering from chronic stress, anxiety, fatigue, and/or depression. 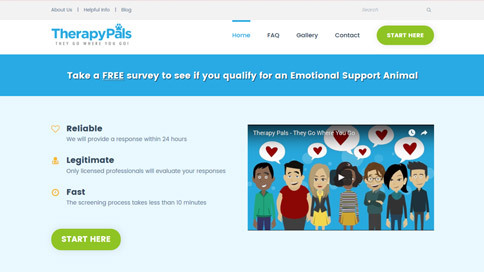 The team at Therapy Pals contacted Omatix to develop a clean, “easy on the eyes”, user-friendly website that provides just the right amount of information for individuals searching for ESA’s (Emotional Support Animals). 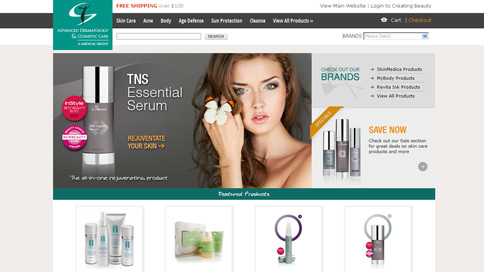 The site features an online assessment and E-commerce platform for users to purchase services. Delightful Sweet Sleep Centers is a multispecialty sleep improvement center that reached out to Omatix to develop an educational resource to help individuals with sleeping disorders. The website offers a complimentary online sleep test, a step-by-step outline of the treatment process, case studies, FAQs, testimonials and more. Patient education and maintaining a strong doctor-to-patient relationship is paramount to Dr. Lavi of United Care Family Medical Center. 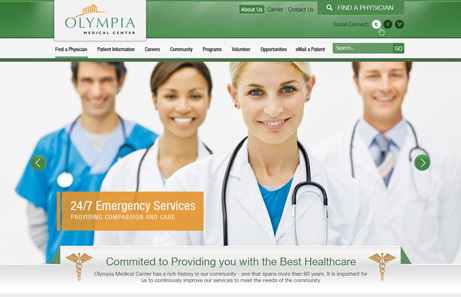 The team at Omatix worked closely with Dr. Lavi to build a website that was not only user-friendly but resourceful. 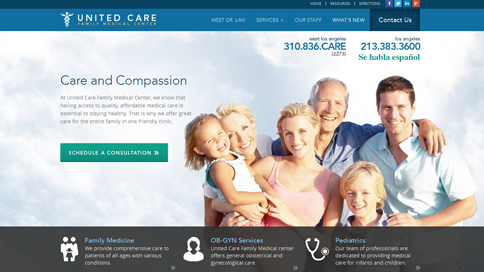 His new site serves as an educational tool for prospective and current patients. 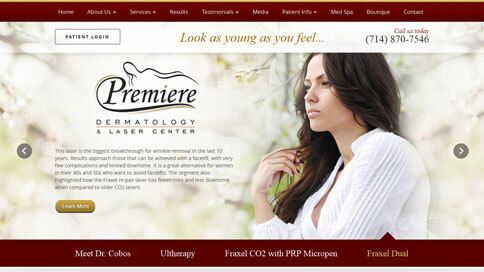 To enhance the patient experience, the team at Premiere Dermatology and Laser partnered up with Omatix to upgrade the aesthetics and functionality of its practice’s website. The new website features modern design elements, an attractive layout, and a plethora of information for patients seeking an informative resource on popular dermatology procedures. The team at Premiere Medical Center reached out to Omatix to optimize and upgrade the look and functionality of their website. 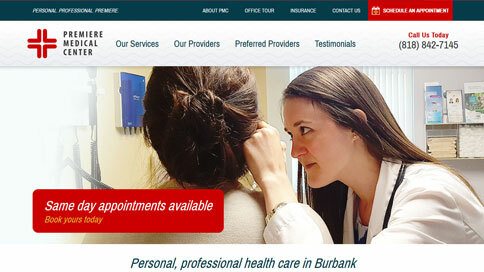 This innovative online resource offers visitors convenient access to a list of medical specialists in the Burbank area as well as a thorough list of procedures offered at the clinic. The fresh and intuitive layout allows easy access to book appointments online, read reviews, take an office tour and more. The responsive layout can be viewed across a wide range of digital platforms without sacrificing ease of navigation or depth of content. 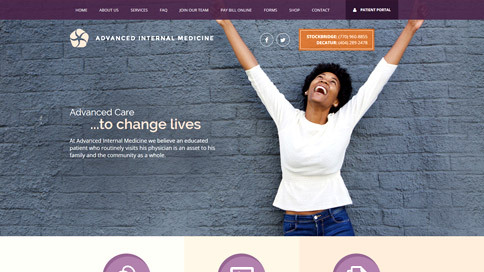 Dr. Ode of Advanced Internal Medicine contacted Omatix to completely revamp his existing site to provide a cleaner, more modern experience for his visitors. The website is fully responsive and is accessible from all Internet-compatible devices such as smartphones, tablets, laptops etc. Visitors also have access to a patient portal which allows them to submit necessary information before coming in to the office. 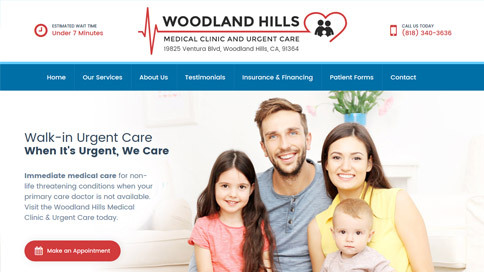 Dr. Hamid Mirshojae and the team at Woodland Hills Medical Clinic & Urgent Care enlisted the help of Omatix to modernize the aesthetic, user experience, and functionality of the practice website. To accommodate all devices, the site features a responsive design that seamlessly adjusts to fit and function on smartphones, tablets, computers and more. Boa Logistics are the industry leaders when it comes to freight. Matt, co-founder of BOA, worked with the team at Omatix to develop and re-brand the look and feel of their existing website. 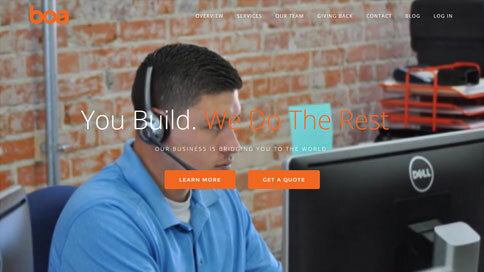 The new site features a video background which showcases the company culture and it’s employees. In addition, the website is optimized for mobile devices so that it is easy for users to access information about the company from the convenience of a smartphone or tablet. 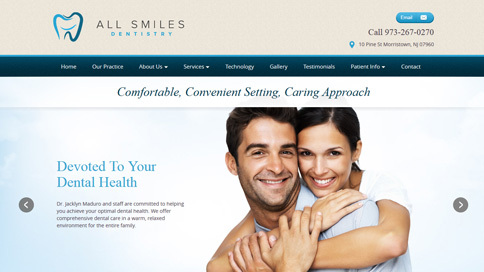 With the objective of creating an informative, easy-to-use online resource, Dr. Maduro of All Smiles Dentistry, worked with Omatix to develop a clean and modern website. Some of its features include a smile gallery, testimonials, links to other resources and more. The site also contains a wealth of original content for patients interested in porcelain veneers, dental implants, or any other dental solution. 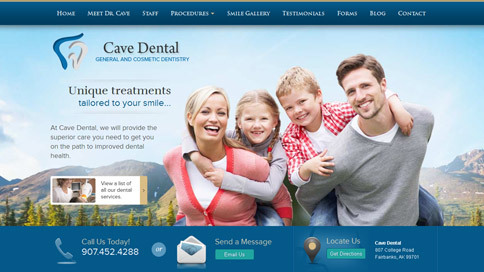 Dr. Graham of the Dental Spa reached out to OMATiX to build a dental website like no other. “Avant-Garde” is the word he used to describe what he wanted. 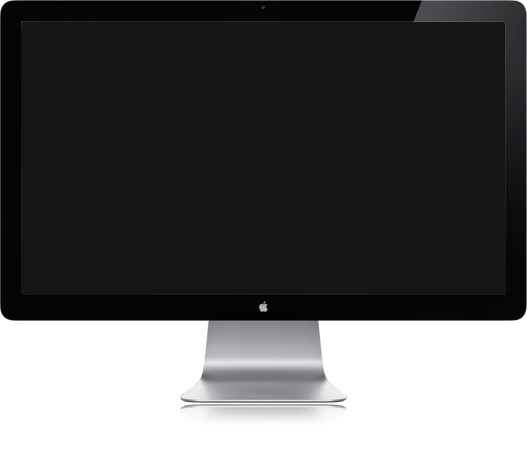 The website is built in Flash and features smooth animations and page transitions. It offers a plethora of content to help patients learn about the available options for improving their oral health and aesthetics of their smiles. Omatix’s latest collaboration with fertility specialist Dr. Peyman Saadat has resulted in an innovative, beautifully designed and navigable website for the Reproductive Fertility Center in Los Angeles. 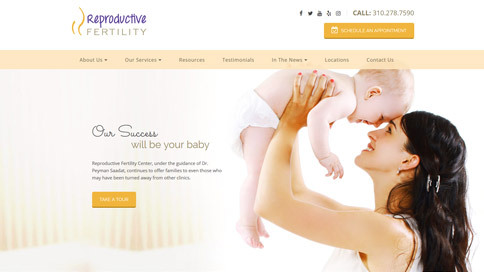 The site acts as a unique educational resource for individuals seeking fertility information. It features real patient testimonials, videos, an online scheduler and more. Dr. Kerendian’s primary goal is helping patients achieve healthier, happier lives through weight loss and pain management. He contacted Omatix to develop an online marketing plan that would help showcase this. Using Facebook and Google advertising, the team at Omatix are able to target a specific clientele directing relevant traffic to the website. In addition, Dr. Kerendian’s website is optimized for the search engines to rank for popular terms. To help with patient conversion, the website features before and after photos, testimonials and is responsive to all mobile devices. 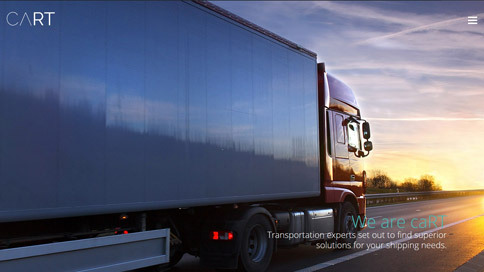 The team at Cart Logistics are industry leaders in their field. Co-founder, Tristan B. reached out to Omatix to develop a website that would help increase their overall online presence. Within photography being one of Tristan’s hobbies, he provided Omatix with all the captivating imagery throughout the site. The team at Midwest Dental Implantology reached out to Omatix to upgrade thier practice’s website into a comprehensive educational resource utilizing the latest Internet marketing strategies available. Within a month’s time, their website ranked #1 for the search term “Dental Implants in St. Charles”, a term that was highly targeted. In addition, Omatix set up social campaigns to generate more traffic to their website. 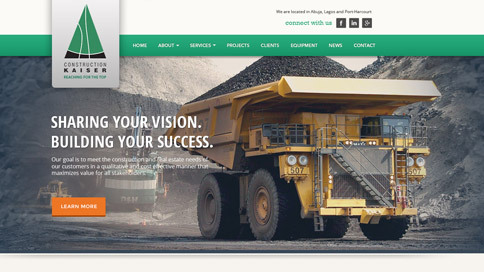 The team at Construction Kaiser Limited, an indigenous building and civil engineering construction company, reached out to Omatix to revamp the overall look, feel and functionality of their website. With mobile compatibility being paramount, we developed a responsive website that adapts to all devices such as desktop computers, tablets and smartphones. Dr. Rebecca Cave-Mansker worked with Omatix to craft a highly advanced, attractive, and user-friendly design for current and prospective patients. The new site provides users with access to comprehensive information about cosmetic, general, and restorative dental procedures. In addition, the site can be accessed from any internet-ready device, including laptops, smartphones, tablets, and desktop computers. 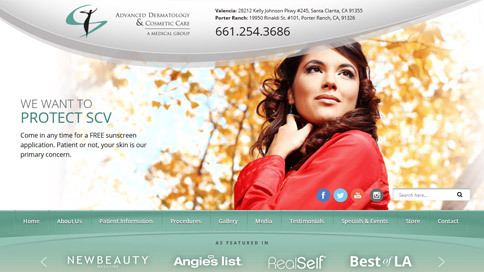 In addition to their main website, Advanced Dermatology & Cosmetic Care wanted to add a online store to showcase their beauty products. With the notion of simplifying, we designed a clean, structured interface and put in place clear navigation to ensure users are able to find items quickly and easily. Dr. Abdul Odemuyiwa, a weight loss physician, seeks to make every visit one that patients look forward to. With this goal in mind, he teamed up with Omatix to update his practice website and showcase what his practice is about. 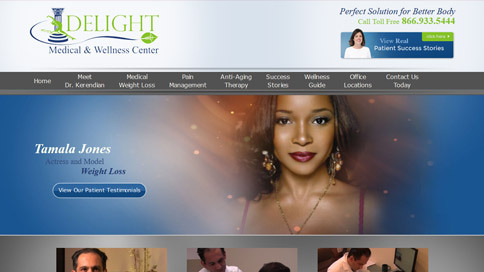 The site includes an online store where patients can purchase weight loss supplements and other health-related items. 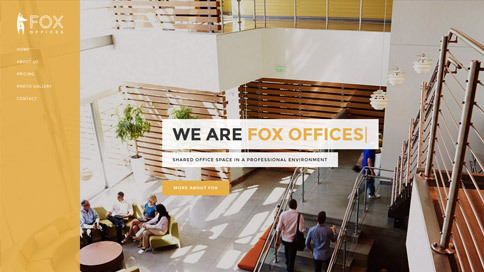 Fox Offices, a shared co-working space in Marina del Rey, CA reached out to Omatix to develop a website that not only captured the modern aesthetics of their offices, but also the essence of living the “Cali” life. 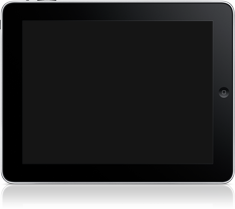 The website is responsive and adapts to all mobile devices so users are able to access content quickly and easily. It also features a dynamic photo gallery that showcases the beautiful space that Fox Offices has to offer. Dr. Vivian Iwu and the team at Choice Podiatry Center worked very closely with Omatix in order to carefully craft a website design that met her practice’s needs. The user-friendly layout of the website allows for viewers to quickly and easily find the information they are looking for. Patients can read about procedures offered at the practice and better understand their options. Board certified ophthalmologist and plastic surgeon, Dr. Kaestner, reached out to OMATiX to design a website that would represent the beauty of San Diego, CA. Using bright colors and a coastal backdrop, we were able to create a cool look and capture her vision. 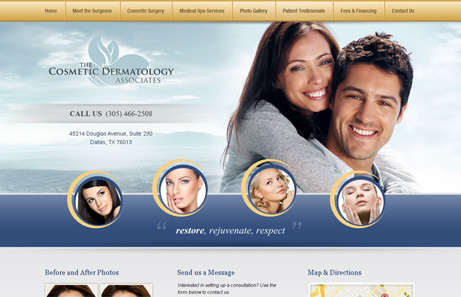 This website features before and after photos, patient testimonials, videos and more. 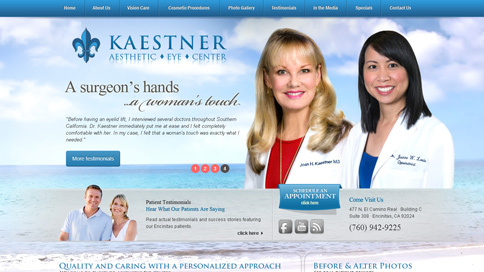 With the success of the Kaestner Eye Care website, Dr. K also had us develop a website for the cosmetic side of her practice, the Botox Institute. Dr. Raskin of Advanced Dermatology & Cosmetic Care is no stranger to the media and has made several television and magazine appearances. Voted as the “Best Dermatologist” in Los Angeles, we felt that it was important to highlight this throughout the website and to feature some of his best work. We also created a mobile version of the website because we found that 40% of his visitors were coming from smartphones and tablets. 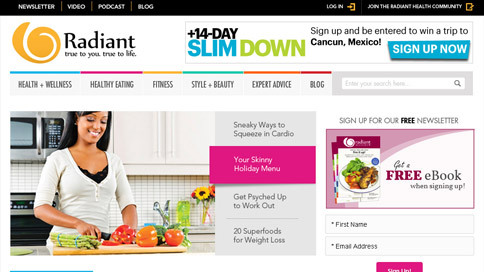 Radiant Health Magazine delivers the latest information in health, fitness, nutrition, beauty and style. Radiant reached out to Omatix to design a website that was not only user-friendly, but vibrant and welcoming. The site features a responsive website design that enables it to be compatible with all internet-ready devices, including desktop computers, laptops, mobile phones, and tablets. 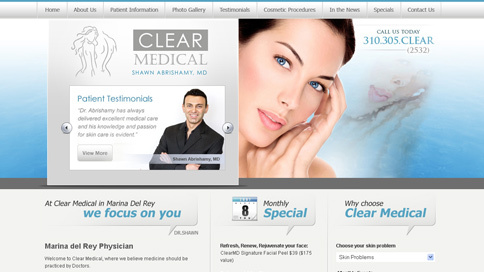 Dr. Abrishamy of Clear Medical reached out to OMATiX for a complete website makeover and SEO overhaul. He really liked the layout of one of our current clients, but wanted something more modern and spa-like. Using a harmonious balance of colors, graphics, and artful text, we were able to create that cool and calm feel he was looking for. With online marketing being very competitive in his locale, we had to implement an SEO strategy that would target niche keywords to get ahead of the competition. 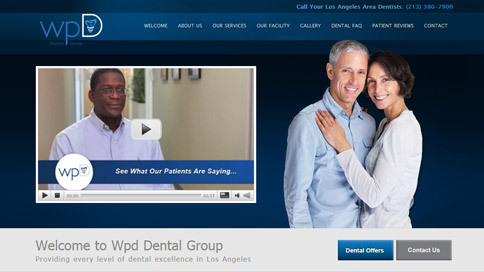 Wpd Dental Group is a multi-specialty dental practice located in Los Angeles’ Mid-Wilshire district. 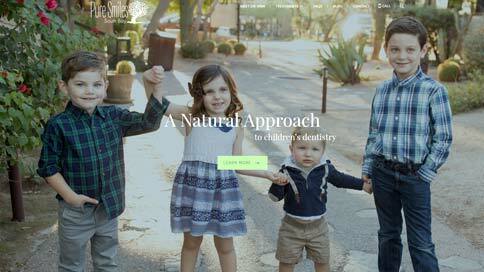 Dr. Thomas Han, a renowned dentist and lecturer, reached out to Omatix to develop an online presence for both his personal website and practice website. Our team outfitted his sites with a new look, and optimized them with the latest SEO strategies to help him reach more patients in his locale. There are 2 sides to Dr. Kaestner’s practice 1) Cosmetics and 2) Eye Care. The Botox Institute website is focused specifically on minimally invasive cosmetic procedures such as botox and injectables. 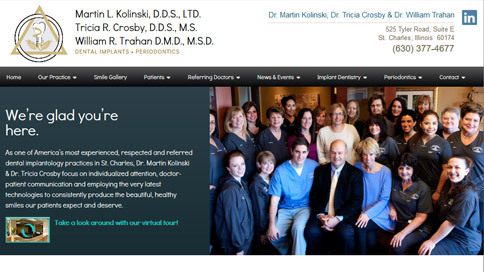 Dr. K wanted a unique website with a cool and calm feel to it. We incorporated several shades of blue to give it that spa-like feel. As one of the nation’s leading authorities on BOTOX® Cosmetic, we felt it was important to really showcase her before and after work. Atlanta Internist, Dr. Agbeyegbe, partnered with OMATiX to create a clean, minimalistic website for his practice. 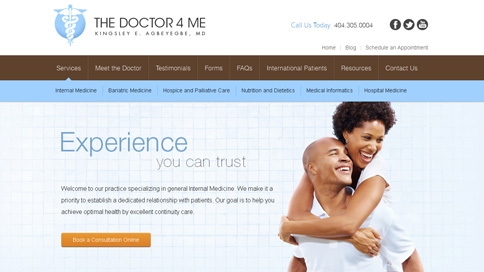 Dr. Agbeyegbe wanted a website that was more up-to-date and easy to use. Our team of developers worked hard to create a beautiful, user-friendly website, enhanced with SEO giving Dr. Agbeyegbe a distinct edge in a very competitive market. When it comes to facial plastic surgery, patients nationwide seek the expertise of board certified plastic surgeon, Dr. Cory Yeh. 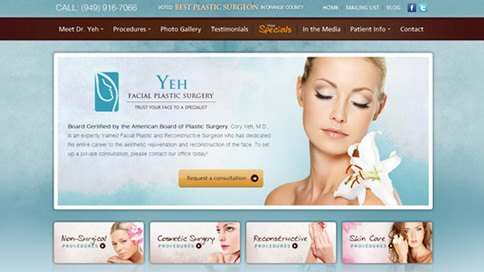 Dr. Yeh reached out to OMATiX to establish a higher search engine presence for patients seeking facial plastic surgery in Orange County, CA. We heavily re-optimized and restructured the website’s existing code and implemented external link building stategies to achieve top placement for targeted keywords. 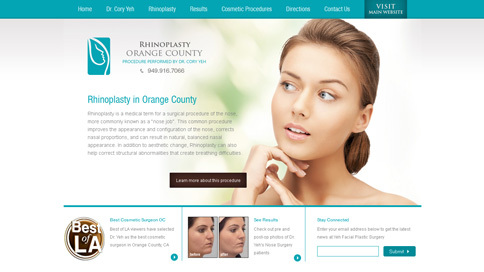 One of our current clients, Dr. Cory Yeh, wanted more of an online presence for the keywords “Rhinoplasty in Orange County.” The team at OMATiX built him this mini-site to support the SEO efforts of his main website. He is currently ranking at the top of the search engines for several targeted keywords. 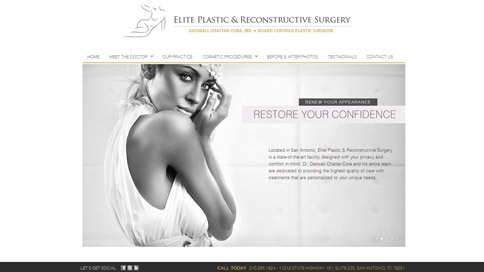 In an effort to improve his patients’ experiences online and in the office, Dr. Chattar-Cora of Elite Plastic & Reconstructive Surgery, teamed up with OMATiX to design a unique responsive website. Dr. Chattar-Cora envisioned a website that emphasized patient education while mirroring the quality and aesthetic results he delivers. 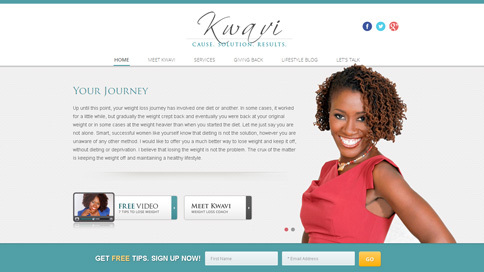 Kwavi is a lifestyle coach that specializes in weight loss and healthy living. She reached out to OMATiX to help develop her brand and create a website that had a clean look and feel to it. According to Kwavi, we delivered! The website showcases a video gallery, newsletter, blog and more. The interface was designed so that information is one-click away and easily accessible. 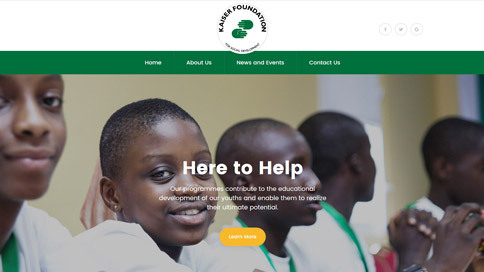 Kaiser Foundation is a non-profit organization that reached out to Omatix to develop a website that provides general information about their mission. Essentially, Kaiser Foundation contributes to the educational development of youths and enables them to realize their ultimate potential. The website features a user-friendly navigation on both desktop and mobile that allows users to easily browse through the website. In addition, a blog was added so that the organization could showcase upcoming news and event information. Serving Los Angeles for over 30 years, Dr. Lim has dedicated his entire career to providing patients with compassion, experience and exceptional care. 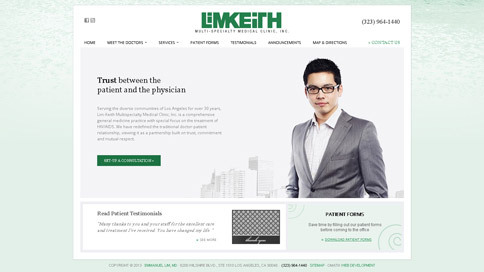 He teamed up with OMATiX to develop a customized website that reflects the quality of service he strives to achieve for his patients everyday. With an attractive layout and menu bars that make the site easy to navigate, viewers are able to easily access a wide variety of information. 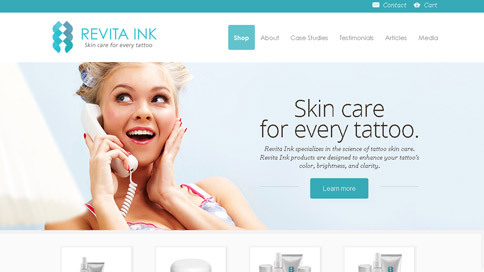 When it comes to tattoo care and rejuvenation, Revita Ink products are the best in the industry. CEO David Raskin teamed up with OMATiX to create an online shop that was easy to navigate through and viewable on smartphones and tablets. Focusing on information architecture, we minimized the amount of clicks to view products and implemented responsive design so that it would display on all mobile devices. 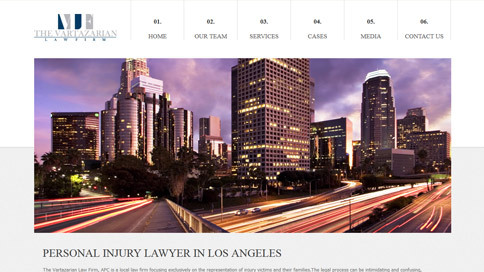 A current SEO client of ours was looking for a new look and feel to his website. He wanted the site to convey sophistication, professionalism and commitment. We went with rich colors and elegant wallpaper-like patterns to accomplish this. 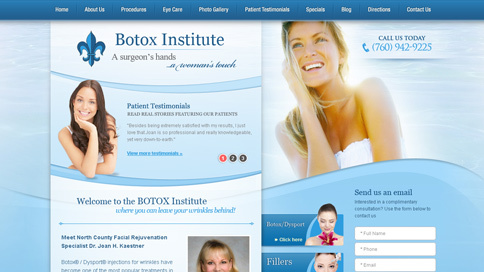 The design features prominent links to the before & after gallery, patient testimonials, videos and more. We also designed a mock-up for a mobile version of the website. 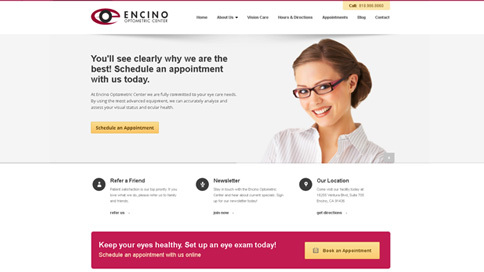 The Encino Optometric Center (EOC) has been providing the highest quality of vision care to patients in Encino for decades. 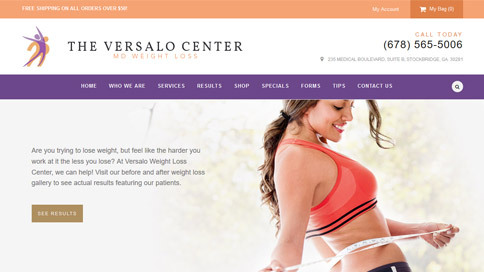 Dr. Aung-Zaw Phoo, the owner, was looking to “get out of the old and in with the new.” He wanted a more modern looking website that was easy to use. Implementing a “responsive” layout and engaging features such as dynamic dropdown menus and a home page slideshow, visitors will find the website easy-to-navigate through and visually appealing.